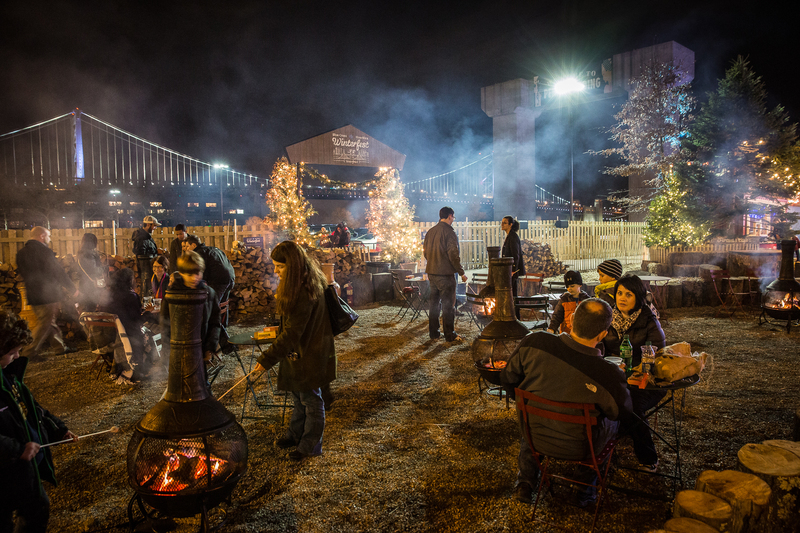 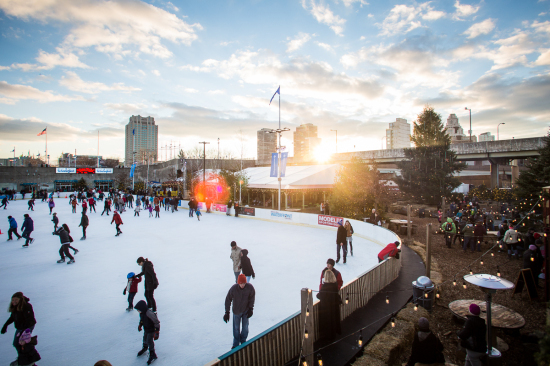 Just a few months after Philadelphia’s hugely popular, but temporary, Spruce Street Harbor Park closed up shop, the Blue Cross RiverRink Winterfest has opened in its place. 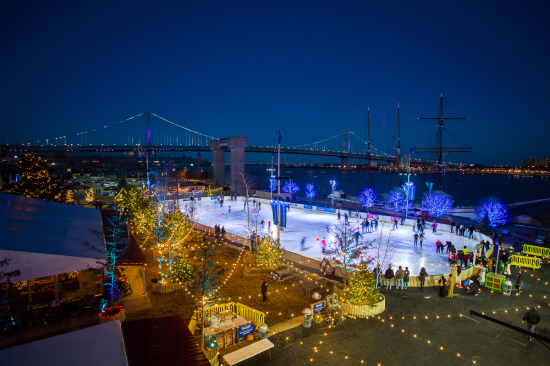 The new space, which is open until March 1st, was commissioned by the Delaware River Waterfront Corporation and designed by the New Jersey–based Groundswell Design Group, the same team behind the Winterfest’s summertime predecessor. Shipping containers from the Harbor Park have been repurposed into Winterfest stores, and lights strung up over the summer were programmed into a brand new light show that plays every half hour. 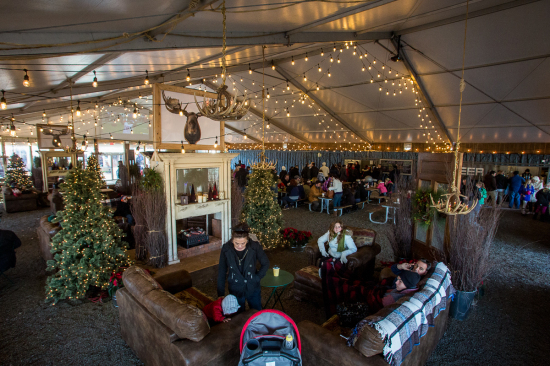 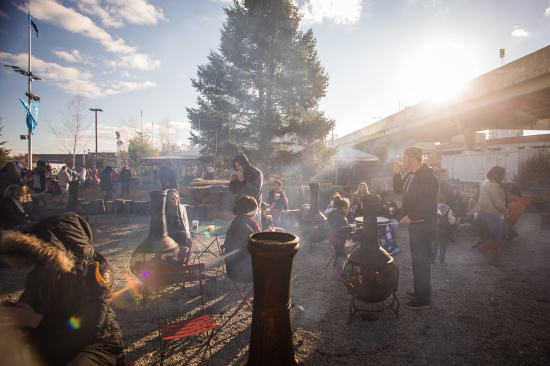 Set within the Winterfest is also a winter garden that Groundswell’s David Fierabend created “with hundreds of holiday trees and shrubs, woodchips, rustic furniture, market lights and fire pits,” according to the DRWC.